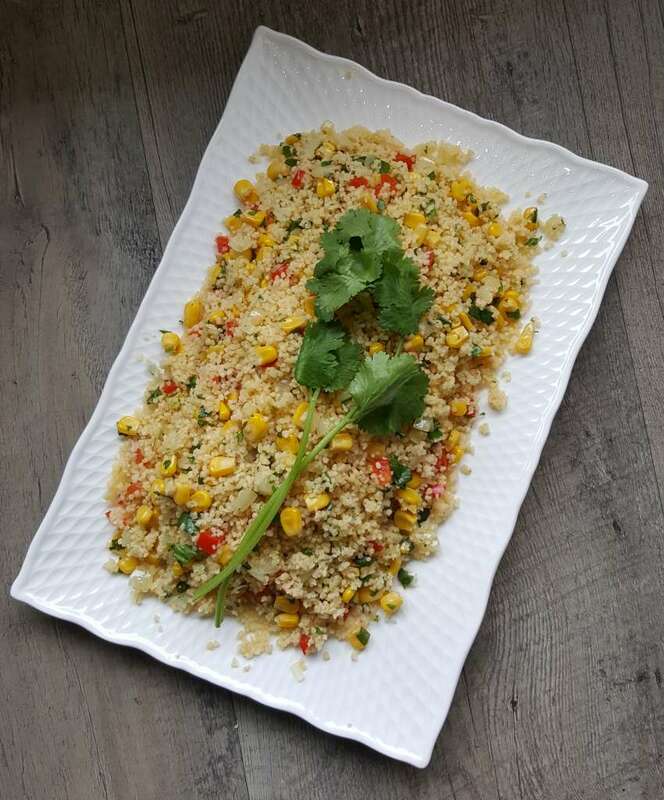 This couscous salad has been a staple in our family for many years, now made better with Frescolio EVOO and Balsamic Vinegar! Heat 1 tablespoon olive oil in a fry pan. Sauté onion, peppers, and garlic for two or three minutes until tender crisp. Add corn, cumin, and cayenne pepper. Bring water and stock to a boil. Stir in couscous and salt. Cover and remove from heat. Let stand for 15 minutes. Combine remaining 1 tablespoon lime olive oil, couscous, vegetables, lime juice, balsamic vinegar, and cilantro. Refrigerate for several hours or overnight. Bring out of the fridge for an hour or two before serving.